يضمن فندق Mango Bay Resort الذي رمم في 2015 لزائريه قضاء وقت ممتع في هذه المدينة الخلابة سواء جاؤوا في رحلة عمل أو سياحة. يمكن من هنا للضيوف الاستمتاع بسهولة الوصول إلى كل ما تقدمه هذه المدينة النابضة بالحياة. يوفر الفندق بفضل موقعة الجيد وصولاً سهلاً إلى أهم معالم المدينة.
. يقدم Mango Bay Resort خدمات لا غبار عليها وكل أشكال اللياقة وحسن الضيافة اللازمة لإسعاد ضيوفه. لضمان راحة ضيوفه، يقدم الفندق الخدمات التالية: أمن على مدار 24 ساعة, متجر, خدمة التنظيف يوميًا, مدفأة, متجر هدايا/تذكارات . في Mango Bay Resort غرف نوم يزيد عددها عن 34 صممت بذوق وعناية لتوفر لك كل وسائل الراحة . بعضها يحتوي أيضاً على رف للملابس, مشروب ترحيبي, مرآة, مدخل خاص, مناشف. يقدم الفندق العديد من الفرص للاستجمام كمثل قوارب, كنو, مسارات المشي, تأجير معدات الرياضات المائية, الغوص السطحي. إن Mango Bay Resort هو خيار ذكي بالنسبة للمسافرين، فهو يوفر إقامة هادئة ومناسبة للاسترخاء. Its the staff that made our stay there so amazing. John, Wase and everyone else made us feel so welcome and kept us entertained. Lots of activities like snorkelling, and other fun trips, will keep you entertained. would definitely go ack there for some lovely chilled out days. We di not go in April due to very bad weather . However the staff were very keen and accepted that we postpone our stay when the weather will be better. 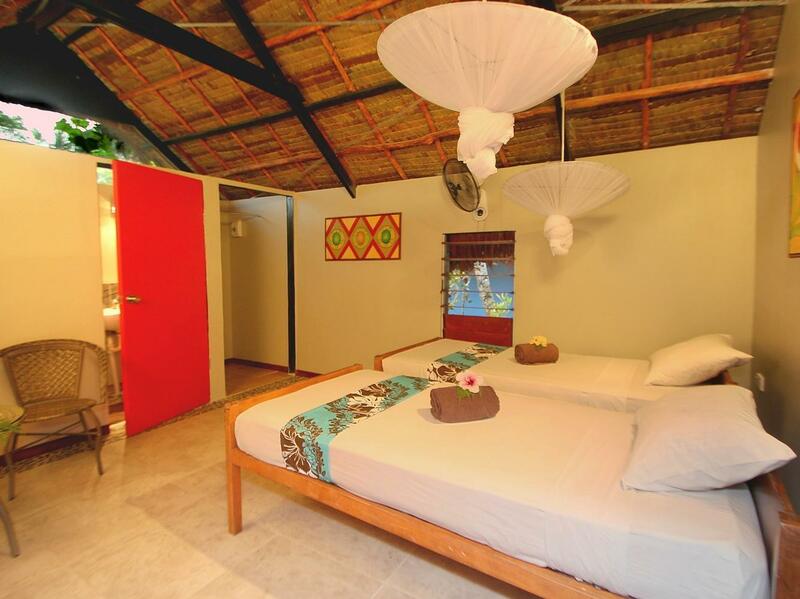 We selected Mango Bay because in spent two unexpected nights at the Mango Bay last December and we were both my wife and I very positively surprised. The staff from the reception to the restaurant were so friendly and helpful. 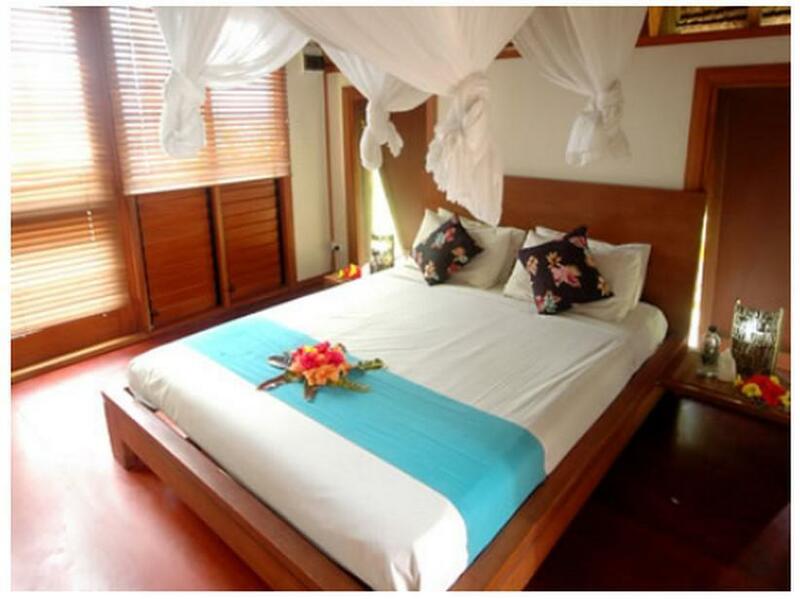 The resort offers very simple and standard Bure with just a fan and mosquito net to more Deluxe one on te beach . We particularly enjoy the remoteness of Mango Bay and the long and very clean beach where you can walk for hours. We are looking forward to go back and it is less than 2 hours away from Suva . It is a beautiful setting in lovely gardens and very peaceful. The staff were welcoming and friendly, and kindly allowed me a late checkout. If you are coming by bus, the driver can drop you at the turnoff and, if you only have a small bag, it is a 10 minute walk down to the resort. But if you prefer not to walk you can call them with an arrival time and they will pick you up at the junction, and they can also drop you back there when you leave. I'll be back before long! Its really excellent place for beach holiday N relaxing. But there is no proper tap water, the water coming in the tap is brown. One need to have own bottled water to prevent any health issues. Our door was giving problem from start till end... there was no fix given. Friendly staff, good food, good music, lovely calm bay with beautiful sunsets. Totally the best ever service provided by Kiti, Moses & Joey. I must admit i believe they had the best fish & chips that I tasted in Fiji. Such a laid back resort, they way in is pretty rocky but once there you just want to unwind and relax. Wonderful hospitality services from the staff. The garden villa is much smaller with no chairs to sit on either outside or inside. But all in all, the weekend spent at Mango Bay was totally worth it and I must commend the staff for their wonderful hospitality!! The setting is gorgeous and the staff is very friendly. The beachfront villas are very nice while the garden villas feel way less inviting. At high tide, the snorkeling must be fantastic right off the beach, though it might be good to point out that it is simply not possible at low tide. The included breakfast is very basic, maybe a little disappointing compared to similar options along the Coral Coast, but you can pay to upgrade it and the food is good and fairly priced for Fiji. Overall, a very pleasant experience and definitely worth recommending. If you are after a relaxing holiday that gives you great value in a superb, quiet location then Mango Bay would be the best fit for you! The staff and location made this one of the best holidays we have done - everyone made the effort to know our names and make our stay as comfortable as possible. Wished we stayed longer! 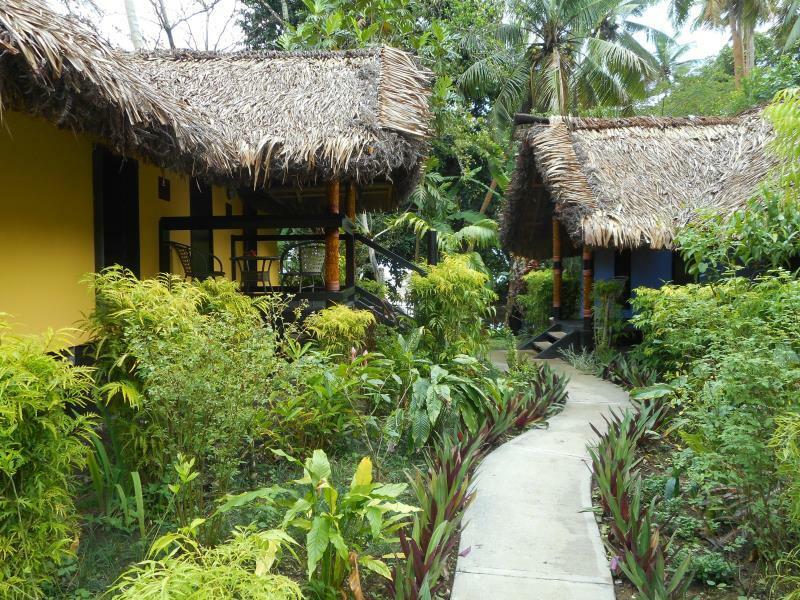 This awesome little hideaway beats the big flash resorts hands down. 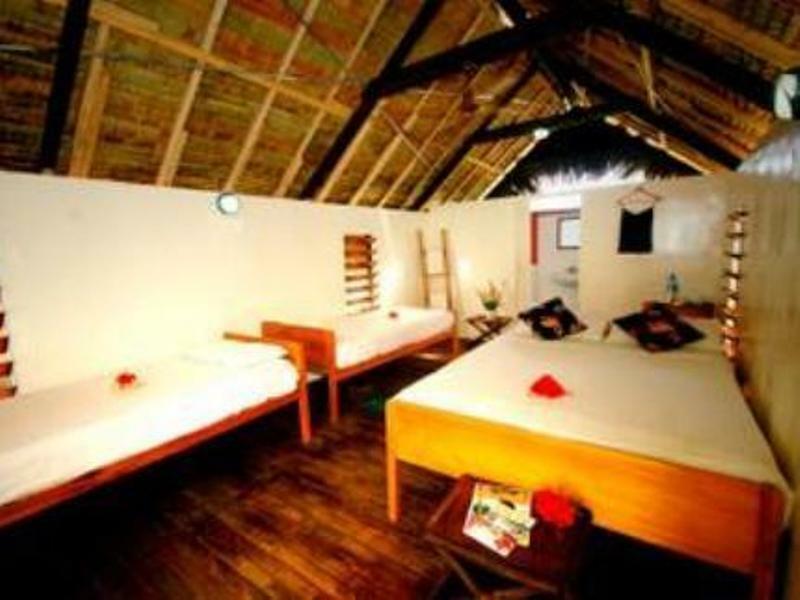 Very relaxing place to stay and loved our bure on the beach. 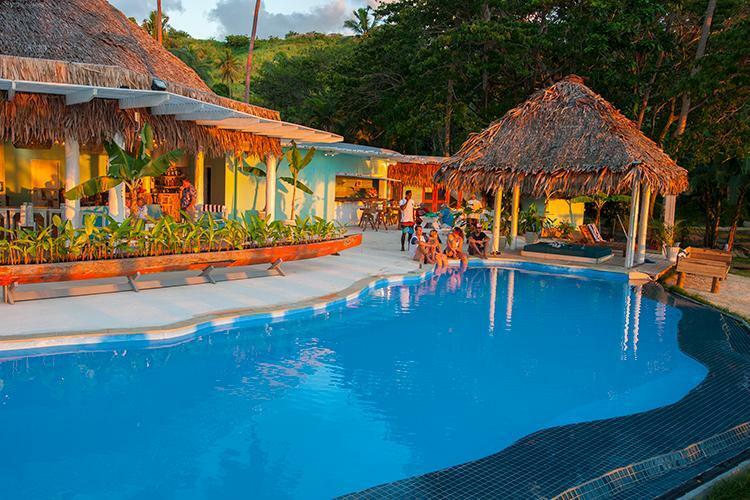 Super friendly staff, good meals and activities, gorgeous location at a good price. Highly recommend. Don't even consider staying at anything other than oceanfront. All the other rooms are substandard. There was a family there while we were there that moved twice, and finally got upgraded to oceanfront. The beach spot is pretty, and there is a nice protected bay for swimming and kayaking. We didn't care for the food, way too salty. It's a long way from anything, so you are stuck there when you are there. We were there when a tropical storm came thru. They didn't really have the staff to deal with it and clean up the mess. Our thatched room came down all over the place, I wound up sweeping the room myself. It would be OK at half the price, but not for what we paid. We originally booked the mid range bure. But when we got there it was dark and not in a great location. The beachfront bures are much more cute. There was a family there that moved twice from sub-par accommodations until they were finally upgraded to the beach. We didn't really like the food, over seasoned and way too much salt. As of April 2018 the property is up for sale, and there is the definite sense that things are running at the bare minimum until it's sold. We were there during a tropical storm that made a mess with downed branches, etc. 2 days later barely anything was cleaned up. I would up sweeping my own room as there wasn't enough staff to handle the situation. Given how far from Nadi/Suva this is, Incant see coming here until the new owner puts some work into it. It's a cute beach with protected waters good for swimming and kayaking. It has potential but it's not happening at the moment. Great spot on the coral coast! The activities they organize are fun and the resort has a lovely garden around it. I’d stay again! We liked it so much we extended our stay by a few days. 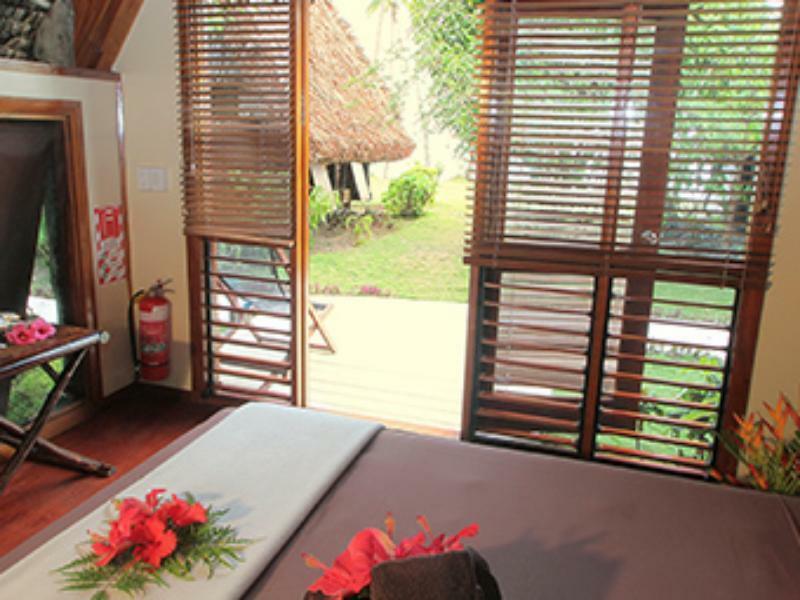 The staff were very lovely, our Bure was clean and well kept. The entire site is beautiful surrounded by lovely plants and beautiful white sand. The drive from Nadi is nice and easy to find. Will live to go back and stay. Had a great time at Mango Bay. The pool/common area is absolutely beautiful. We had a beachfront villa which was also stunning. The resort organsised a bunch or activities which was fun. The staff is absolutely amazing and make the resort wonderful. Everyone is super friendly and go out of their way to make you happy. The food at the cafe is maybe a tad pricey for Fiji, but the quality is quite good. The chef was quite talented. Only negatives of the resort are that wifi was severely lacking (although if you’re in Fiji it should be a big deal anyways) and when we were there the bar was quite under stocked so they couldn’t make many cocktails. A little disappointing. Overall I’d recommend. Great little peace of paradise!